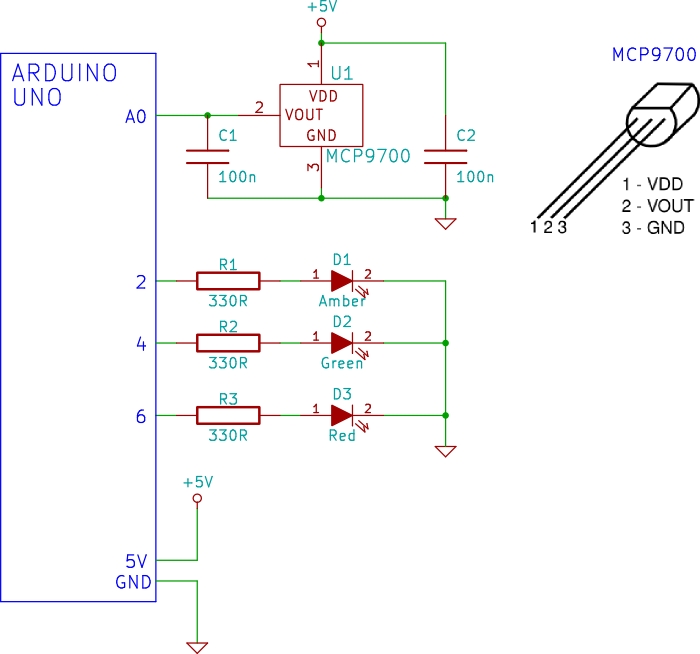 In this Arduino project, you will build a small shield that measures temperature and will switch on one of three LEDs depending on the current temperature measurement. Each LED can be set to switch on in a predefined temperature range. The PC software for the project is written in the Processing language and displays the current temperature, temperature history on a graph and the status of the three LEDs on the shield. This video shows the completed project. A MCP9700 temperature sensor connected to the Arduino A0 analog pin is used to measure temperature. Three LEDs can be set to switch on at preset temperatures. 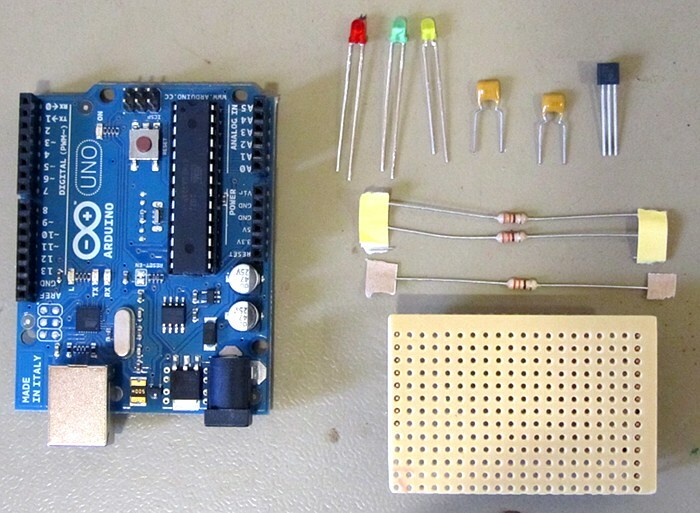 You will need an Arduino board such as the Arduino Uno and a stripboard shield from the Tiny Stripboard Shield for Arduino project.